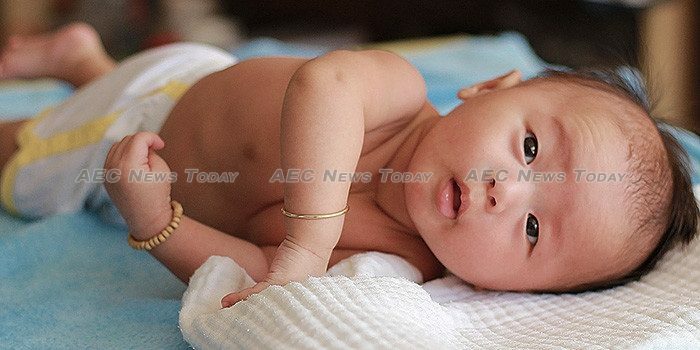 A new directive by Cambodia’s Council of Ministers clarifies the future of dozens of unborn babies following the crackdown last year on illegal commercial surrogacy undertaken in the county. Approved by Cambodia Prime Minister Hun Sen on March 24, but not officially enacted until signed yesterday by Sou Phirin, a secretary of state at the Council of Ministers Council, the directive requires those who have participated in commercial surrogacy to seek the approval of a Cambodia court in order to take the surrogacy babies out of the country, with approval requiring compliance with Cambodia’s Law on Suppression of Human Trafficking and Sexual Exploitation. According to the description contained in the Council of Ministers directive 253, the order is to ensure Cambodian women and babies are not exploited, and to prevent Cambodia from becoming a commercial surrogacy centre. In November 2016 Australian nurse Tammy Davis-Charles was arrested by anti-human trafficking police for running a commercial surrogacy service in the Cambodian capital, Phnom Penh, following a ten month long investigation by Cambodia’s anti-human trafficking bureau. Australian citizens had been warned against partaking in commercial surrogacy in Cambodia, with a notice posted on the Department of Foreign Affairs and Trade (Dfat) website dated 2014 stating ‘the act of commercial surrogacy, or commissioning commercial surrogacy, was illegal in Cambodia with penalties including imprisonment and fines. Australians are advised not to visit Cambodia for the purpose of engaging in commercial surrogacy arrangements’. Since then Ms Davis-Charles, along with two Cambodian assistants, have been remanded at Phnom Penh’s infamous Prey Sar Prison pending trial for breaching Article 332 of the Cambodia Penal Code which prohibits acting as an intermediary between adoptive parents and a pregnant woman, and with falsifying documents. The new ‘departure guidelines’ are valid for only nine months and 10 days from the day it was signed, and only covers current pregnancies and babies that have already been born. The directive states that where a Cambodian surrogate mother is married, her husband is considered to be the baby’s father the biological father will need to prove paternity with a DNA test before a court can approve surrogacy babies leaving. Where the surrogate is unmarried, the biological father will need to go to court to claim the right to take care of surrogacy babies, and the surrogate mother must agree to the father’s request. The directive reinforces the illegality of commercial surrogacy in Cambodia, stating that ‘surrogacy contracts cannot be used’, adding that ‘the prosecution of brokers is ongoing and that inspections of clinics with the technology to perform surrogate procedures will be undertaken. It also urges the speedy completion of a draft ‘Management of Surrogacy law’. According to Cambodia Ministry of Women’s Affairs spokesperson Phon Puthborey a law on surrogacy currently being worked on in collaboration with several ministries is expected to completed by the end of the year.